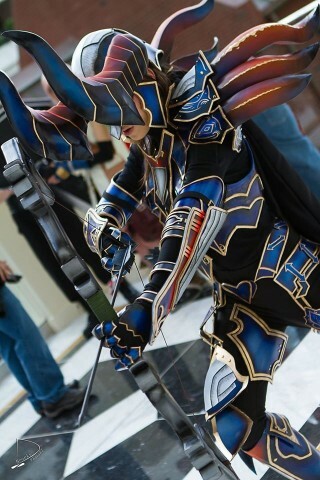 Diablo III Embodiment of the Marauder Armor Build « Adafruit Industries – Makers, hackers, artists, designers and engineers! In game, the Embodiment of the Marauder armor in Diablo III seems time consuming to track down. In real life, it also takes a long time to build it. 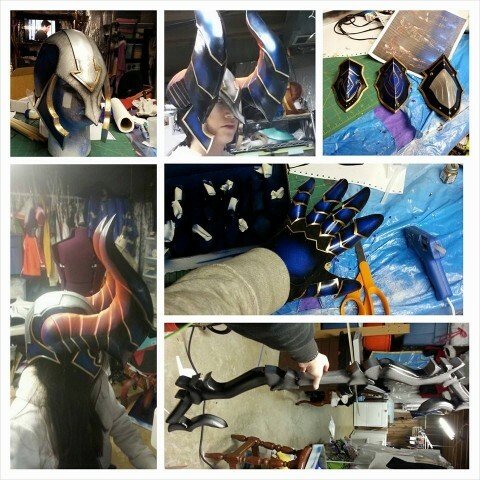 Cosplayer Chrissy Smiff of C&C Cosplay Factory, also known as CheeBang Bang, spent hours creating a replica of the armor. 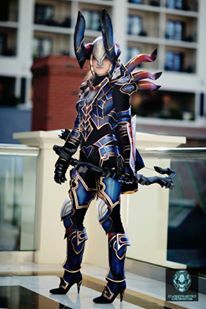 She did a wonderful job capturing the deep blues and reds of the costume and making each piece of armor look like durable metal instead of Worbla or plastic styrene. I use a ton of different techniques to make stuff! 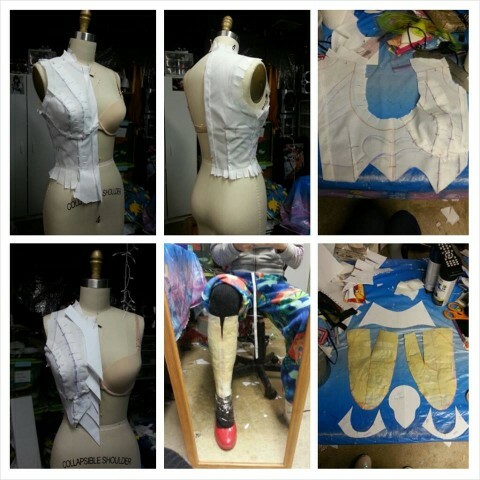 I usually base my decisions on how thin, heavy, or flexible a piece is needs to be in its final form. I made Cherche entirely out of craft foam and polystyrene, but the curves of the Demon Hunter armor made worbla a better choice. I used polystyrene where I could since it is so cheap and lightweight (and as a result incredibly easy to attach with velcro). There is a zipper on the back of each lower leg piece which let’s me slip it on and off.